All newly designed premium hunting scope with more features and performance commonly found on more expensive optics. The best performer in its class. 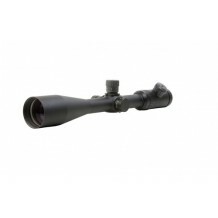 Hunter Plus II Rifle Scopes The most versatile line of optics we have produced. Air-gun enthusiasts to long range shooters and everyone in between will appreciate the top-of-the-line features found in the HP Predator. • 30mm one-piece tube design for superior strength • Precision ..